If you’re considering buying a home in a planned community, townhouse or condo, you’ll more than likely become part of a Homeowners Association (HOA). 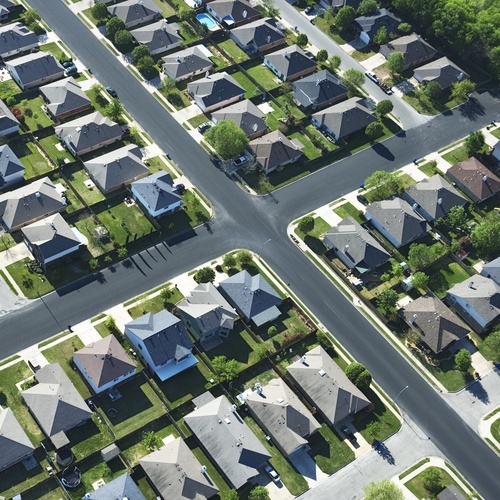 Maybe you’ve heard this term before, but aren’t sure what an HOA is or what it does. Let us answer your most pressing questions. If your purchase a home in a community with shared living spaces, then it will be governed by an HOA. In most cases, the HOA board is made up of homeowners who are volunteers. They hold regular meetings where homeowners can discuss and vote on issues that affect the community. When you purchase a home that is overseen by an HOA, your membership in the organization is mandatory. HOAs exist to ensure that everything in the community runs smoothly and functions properly. If your community has shared space – a pool or clubhouse, for example – the HOA is responsible for the cleaning, maintenance and repairs of those facilities. They also keep roads and sidewalks in good condition and often beautify the neighborhood with plants, flowers and grassy spaces. HOAs help keep a community uniform by making sure that properties are maintained so that property values remain stable. In order to keep everything running smoothly, all HOAs impose rules on homeowners. They are called covenants, conditions and restrictions (CC&Rs), and you’ll receive a copy of these rules when you purchase the home. In fact, you’ll be expected to sign a contract stating that you will follow the rules. These will depend on your community, and can include everything from what color you paint your house to how many cars you can park in your driveway. While it will vary from one community to another, you will no doubt be penalized if you break the rules. In many cases, HOAs are corporations and can enforce the contracts that homeowners sign. Penalties can include reversing the violation (like repainting your house) or paying a fine. In extreme cases, homeowners can be evicted or forced to sell. HOAs impose fees on homeowners in order to cover their expenses. These dues are paid either monthly or yearly and are determined by the kind and amount of amenities your community has. In most cases, HOA fees run anywhere from $75 a month to $1,000 or more. Occasionally, the HOA may impose a special assessment in addition to your regular dues. This is usually to fund a major renovation or emergency repair that insurance doesn’t cover. Before deciding to move into a planned community that is governed by an HOA, you should consider whether or not you’ll be comfortable living by its rules. If you feel you can abide by the covenant, you’ll certainly be treated to amenities that you may not otherwise get in a community that doesn’t have an HOA. Make sure to read all your HOA documents carefully, and weigh the pros and cons before making your decision.